Reptile eyes can often become inflamed or closed due to irritants and infections. JurassiTears is an advanced formula of conditioners and emollients that gently clean and help open inflamed reptile eyes. It also aids and supports animal eye health and overall health through vitamin A supplementation. Reptile eyes can often become inflamed or closed due to irritants and infections. JurassiTears is an advanced formula of conditioners and emollients that gently clean and help open inflamed reptile eyes. It also aids and supports animal eye health and overall health through vitamin A supplementation. 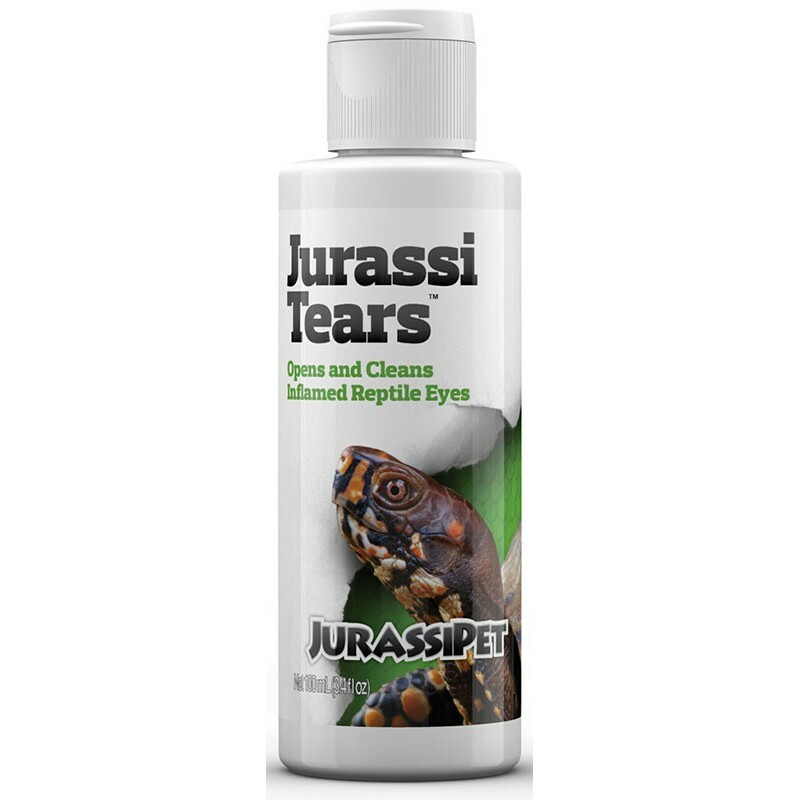 JurassiTears dispenses easily, and remains in place after application.